Add a new variable "x speed." 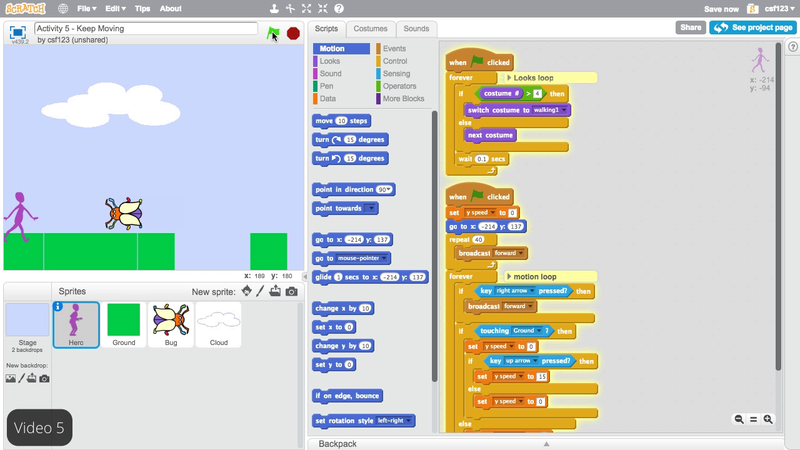 Make the conditional "if x speed is not 0," then snap all the looks loop blocks inside. When the hero receives "forward," have it set the x speed to 1, wait for a short time, then set the x speed back to 0.